Spring is finally in bloom, but flowers aren’t the only scent in town: The smell of baseball is in the air. If the aroma of hot dogs and Cracker Jack seems to be wafting through East Village, it’s not just you – the Padres Home Opener is just around the corner. To get ready for the first Padres home game, East Village is hosting a free Opening Day block party right next to Petco Park from 11 a.m. to 6 p.m. on April 5. A beer garden will be serving up suds from the ever-so-popular Stone Brewing Co. Food trucks and local restaurants will have grub for purchase before the game, including San Diego favorites Devilicious and SD Street Eats. 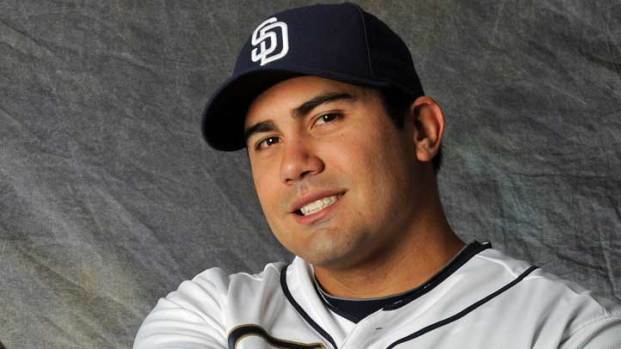 San Diego Padres Fans: Say Cheese! Tunes from Ultimate Stones Tribute band and DJ Kaotik will be blasting to welcome back baseball season. The block party will be held at J Street between 7th and 10th Avenues between 11 a.m. and 6 p.m. on April 5. All proceeds from the event support the mission of the nonprofit East Village Association, Inc. For more information visit EastVillageSanDiego.com. And for those of you who can’t make the party, the Padres will kick off the season playing the Dodgers at 4:05 p.m.